Once again, there is drama in the Nigerian music scene and this time a lot of the players involved are really angry. So here's the gist. The song ‘I’m a fan’ is in the center of an international drama & while music fans are shrugging it off as a publicity stunt, music pundits believe it goes deeper that that. 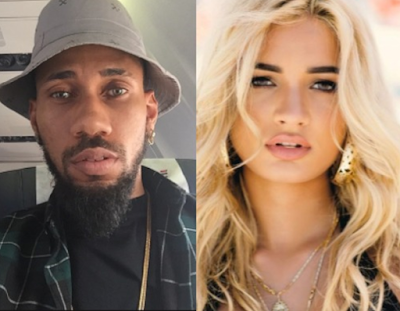 In 2016 Phyno dropped his second album titled 'Paymaker' and it had a song called 'I'm a fan' featuring Mr Eazi and Decarlo. Then two days ago, American singer and songwriter, Pia Mia, released a version of the same song 'I'm a fan' which featured singer Jeremih. 'due to issues regarding remuneration, clearances and demands, Phyno and Remo did not work together. But Phyno liked the idea of the sound, so he sought the help of producer Benjamz, who reconstructed the single, and brought on Mr Eazi and Decarlo to collaborate and release the record. 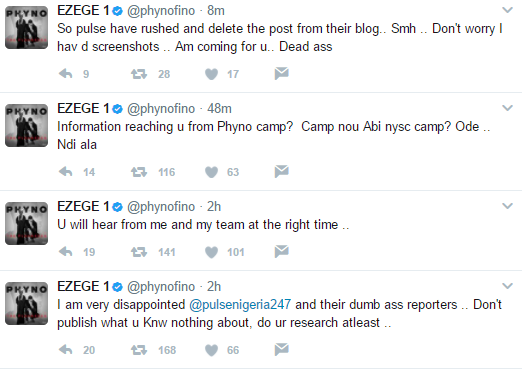 Remo, who had totally abandoned the Phyno project, still has his music, and so when Pia Mia tapped him and Jeremih for a new record, they had this one ready-made for her to record and release'.This report and alleged source from Phyno's camp didn't go down well with the rapper who immediately took has to twitter to call out Pulse and indirectly threaten legal actions. Beautiful photo of Kevin Hart and his family..